Get Brand New Audi Q2 Lease Deals. When You Lease an Audi Q2 The Offer Includes Delivery, Road Tax and an Official Manufacturer's Warranty! 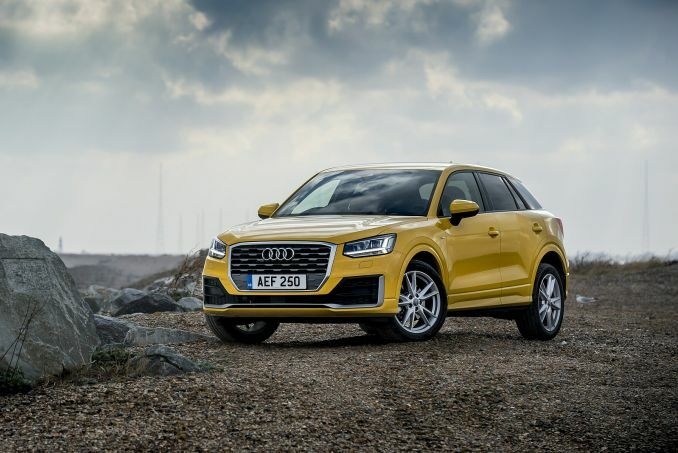 Audi Q2 is the latest addition to the producer's portfolio of SUV models, designed as an urban vehicle for everyday use and recreation, which combines progressive design with high functionality. The base engine is a three-cylinder turbo petrol 1.0 TFSI with 115 HP while the top offer represent both petrol 2.0 TFSI and 2.0 TDI models. All Audi Q2 cars leased through us come with an official manufacturer's warranty, free delivery and phone support throughout the duration of the lease contract. We are proud to be able to offer you some of the best Audi Q2 lease deals available and you will find our best specials are listed above. Our system allows you to sort through the available vehicles based on your set parameters to help you find the best Q2 model. You will also find that our cars are listed by price from lowest to highest. Come talk to us. We offer you several low initial payment options and the choice is yours to make. Reach out to our sales team today and we will provide you with a flat fee quote that you will pay throughout your contract term. Bad credit can be problematic but that does not mean that we cannot work with you. Before you lease a car, you will need to have a credit check performed. Our team can work with challenged credit individuals, but, you may pay a bit more for your car. Give us a call and let’s talk about it. Contract for hire is one of the best options available for any VAT registered business. You will reap the benefits of a Q2 business lease deal through instant savings and tax breaks. If you plan to place a lot of miles on your Q2, let us know and we will go over your options with you to avoid additional fees and charges. One of the easiest ways for you to be behind the wheel of our luxury cars is to apply for a personal contract hire. Once your lease is up, you simply bring the vehicle back to us and sign for a new one or walk away. It is that simple. Remember, all personal contract hire leases are done in your name only. When leasing one of our cars, you will not receive any insurance with it. It is your responsibility to secure insurance for the car and setup a policy in your name.